Ukraine’s defence sector scored a ‘D’ in the most recent edition of Transparency International’s Government Defence Anti-Corruption Index (GI); signifying low transparency and a ‘high’ risk of corruption. Defence procurement scored even lower and was highlighted as the most opaque and corruption-prone area in the defence sector. To help improve this, NAKO has studied the phenomenon and identified “red flags” i.e. the most common indicators of corruption in defence procurement. NAKO researchers interviewed 35 well-placed sources and analysed over 47 incidences of alleged or confirmed cases of corruption in Ukrainian military purchases between 2014-2018. The report summarises the red flag categories, along with the possible cases and specific recommendations on how to prevent and detect the corruption risks. 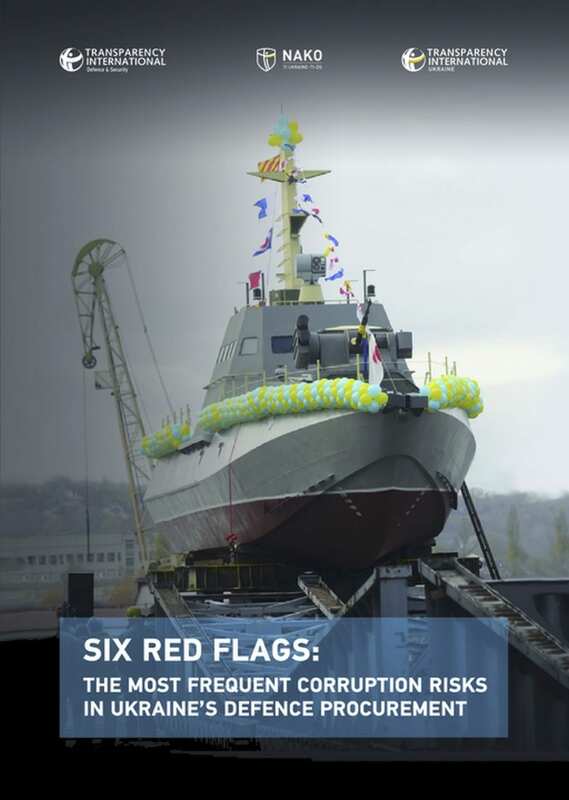 This report provides valuable information to those interested in defence procurement reforms including government officials, business representatives, as well as Ukrainian MPs, journalists, NGOs and law enforcement officials tasked with oversight.